Before fantasy football where you carefully select a team from what is often bitter rivals or simply teams you normally sneer at and then follow their progress throughout the season, there was a simple game called 'Spot the Ball'. Spot the Ball was a newspaper competition that originated in England in the 1970's and although it seemed to die out in the 1990's, the New York Times have fairly recently started a Spot the Ball competition for Baseball, while online variations of it for football have begun to flourish again. The way the game works is a picture of a certain moment in a match has the ball edited out and then grid lines are overlaid on the image. 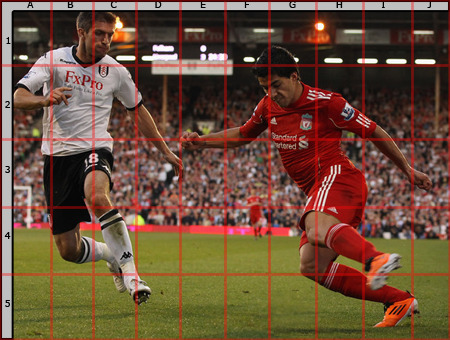 To play, you simply look at photo and determine based on the players positioning and focus what grid coordordinate the ball has been removed from. You would then submit your answer (i.e "The ball is in E3!") and the first correct response received by the newspaper or quiz master wins the game. 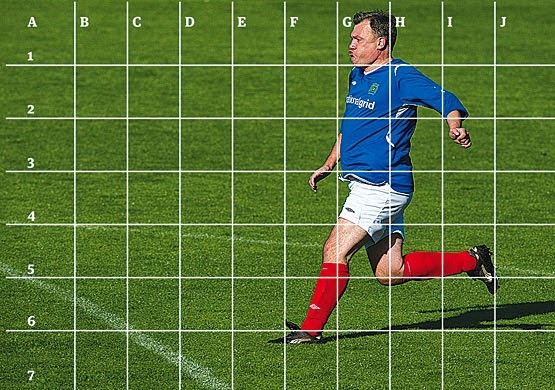 Here a few examples of 'Spot the Ball' pics. See if you can figure out where the ball should be.